...so we’ve tried to keep it simple! Enter your subject and postcode to access a wide selection of tutors in your area. 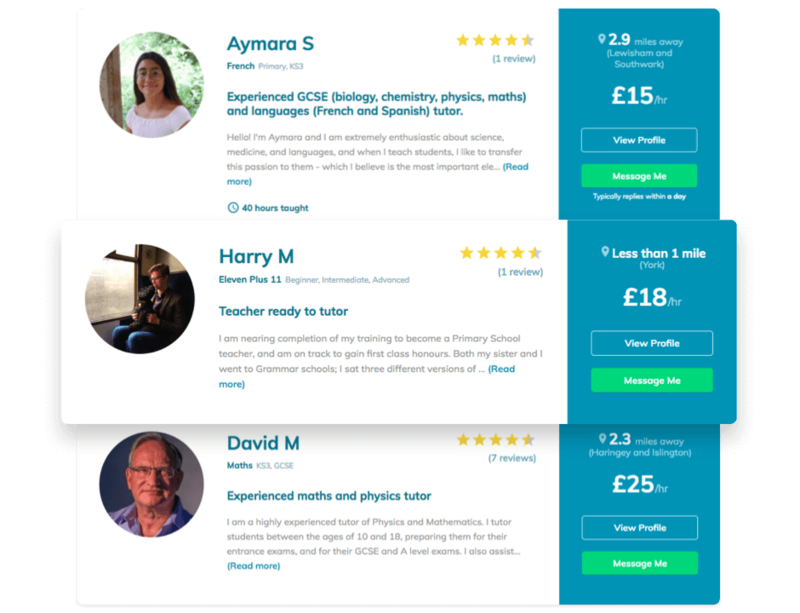 You can customise your search results by sorting tutors according to their rating, hourly rate or proximity. You can also take our Smart Match questionnaire to find out your personality and learning style and use it to match with tutors who teach in a way that perfectly compliments it. 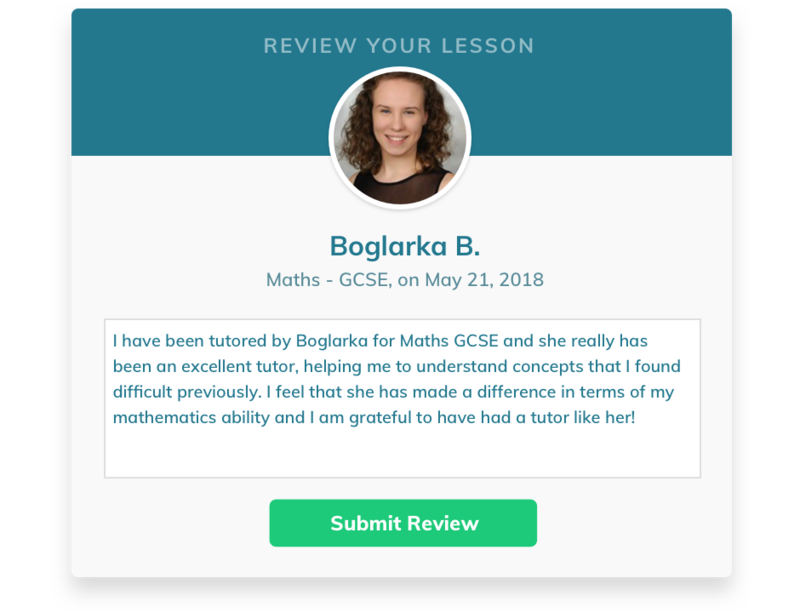 If you don’t have time to search for tutors yourself, or if you’re looking for something more specific, you can use our ‘Request a Tutor’ feature and we will find the highest-rated tutors and put them in touch with you directly. Compare tutors according to what matters most to you. Explore tutor profiles to learn more about their educational background, teaching experience, formal qualifications and to read their reviews. Our selection process is competitive: only 1 in 3 tutors are finally selected to join our active community. Once you’ve found some tutors you’re happy with, you can exchange as many messages as you like with them. Messaging is instant and free and you’ll be notified by email and text whenever you receive a new message. 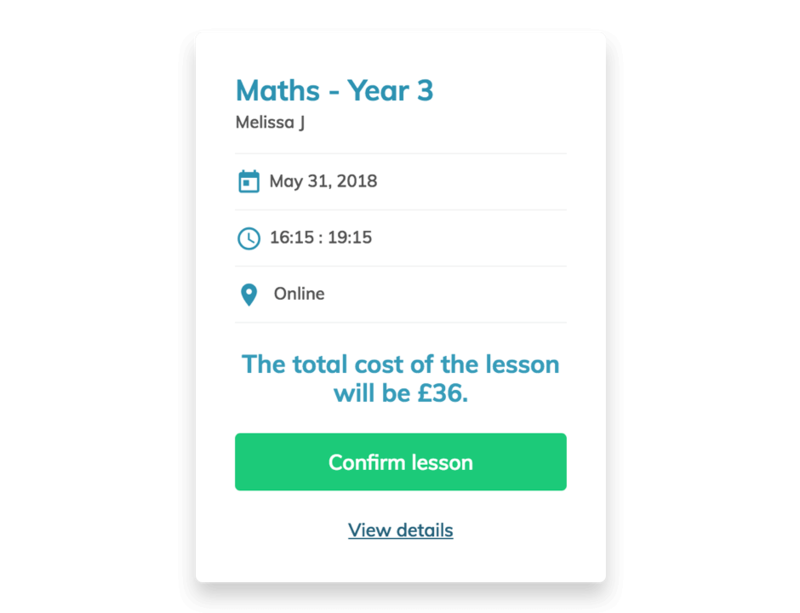 Once you have agreed on the finer details of the lesson like location and time, your tutor will book in a lesson for you, which you’ll be asked to confirm by entering your payment details. Paying securely on our platform means you don’t have to worry about paying in cash on the day, so you’re free to focus on lesson itself. 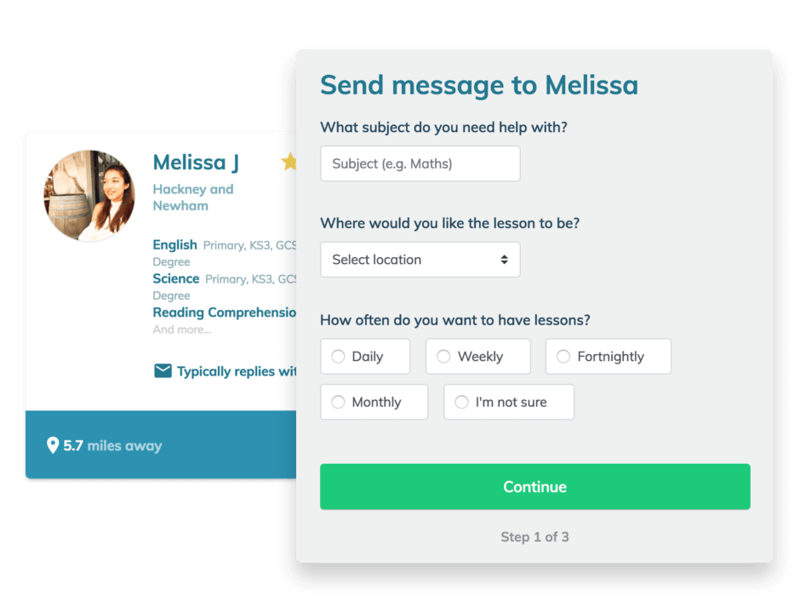 After you confirm the lesson, you will be able to exchange contact details freely and your tutor will begin preparing a bespoke learning plan to ensure you get the most out of your first lesson together. Remember, Tutorean is free to use, so you’ll simply pay the tutor’s stated rate with no extra fees on top. Upon successfully completing your first lesson, we will open up a 2-way feedback process between you and your tutor. This means you will continuously understand how to grow and thrive as a student, and give direct and honest feedback to your tutor, too. Don't forget, our Support Team will always be here to help, whenever you need it. Check out our private tutors and find the best match for you.